Brushing the cobwebs away I can state the facts, the Casa Del Mar is now a luxury hotel, prior to that it was a rec center for enlisted men in WWII, the headquarters of Synanon (a bogus drug rehab program and later a disbanded “church”). Prior to it’s latest incarnation it was a Pritikin Longevity Center. 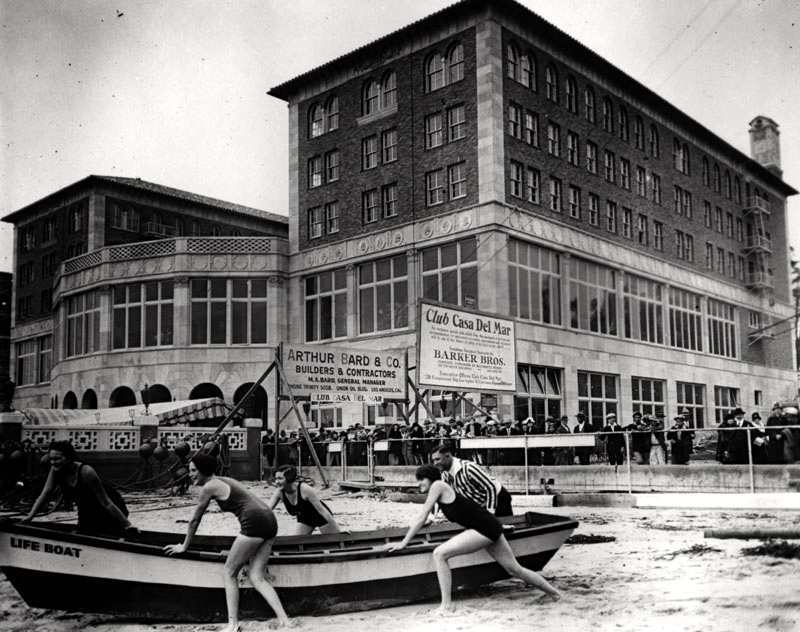 Here are a few — lifeguards training outside the Renaissance Revival building under construction designed by architect, Charles F. Plummer; sometime in the 1920s. Now would we be wondering about the cigarette girl or the customers? Former in L’Aimant, later in Shalimar would be my punt. L’Aimant powdery and floral and young? Shalimar – sophisticated and formulated in the memory of an empress and her favorite garden? Great photos! I especially love the hat? crown? headpiece? in the top photo. I think it was her uniform – very spangly! 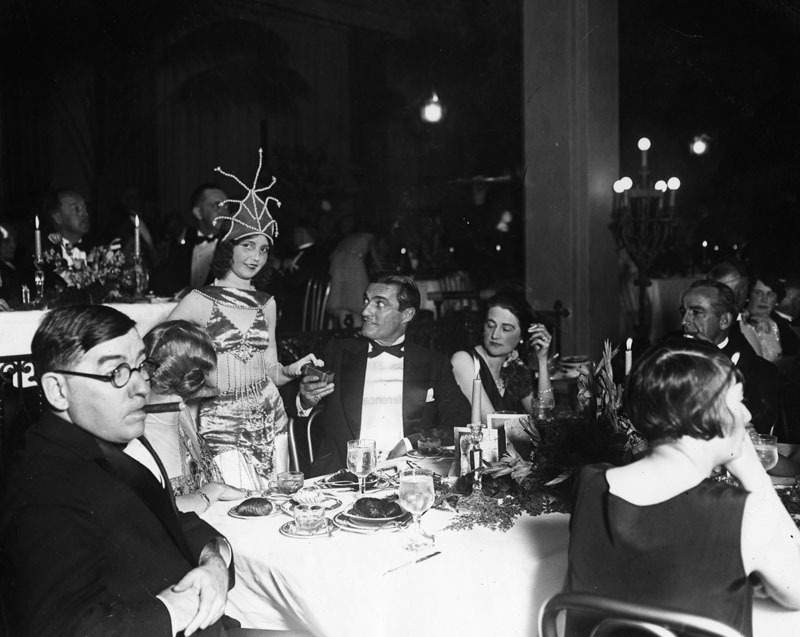 Dig the chick sitting next to mobster man, with her deep red triangle blush application situation!